I bought this book right before my kiddo started kindergarten. Every year I have her teachers sign. Some years we have more teachers than one which is nice to be able to fill this book up for her. 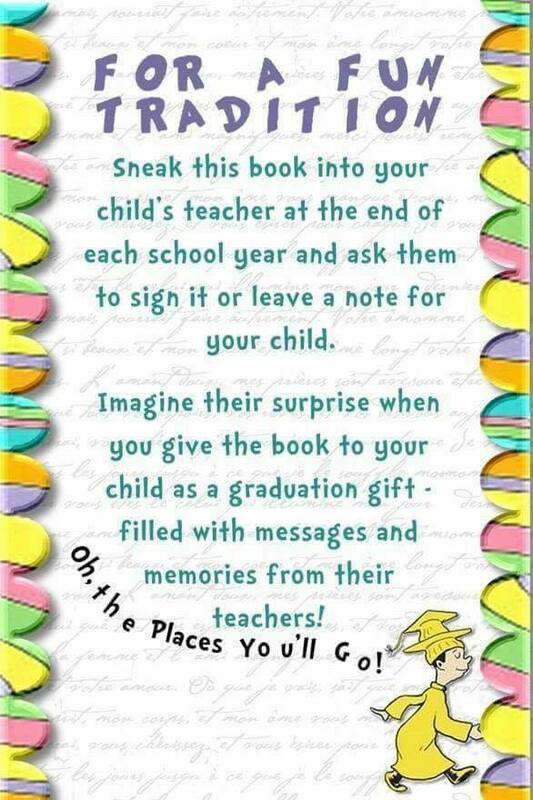 I think after is done with school, I will have her close friends and family sign the book as well. What a special way to end her school years before she is off to college. 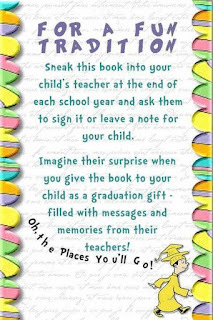 She will get to read the special messages that have been left by all her favorite teachers. One of the best idea's I have ever started for her!